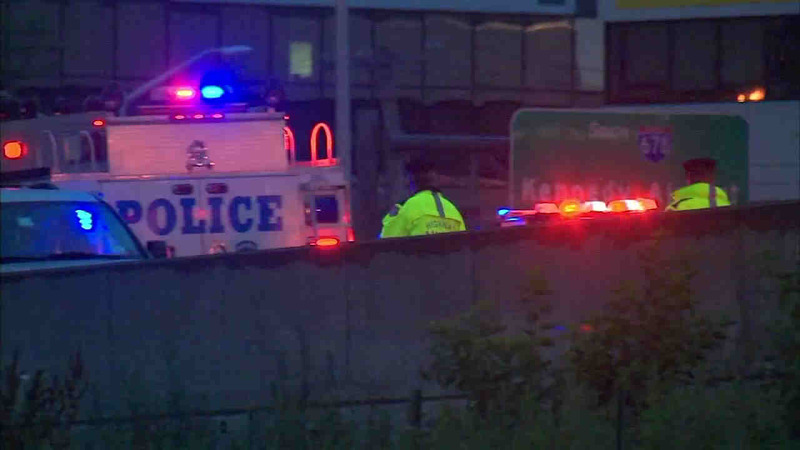 COLLEGE POINT, Queens (WABC) -- A man running across the busy Whitestone Expressway in Queens was struck and killed by two cars, one of which did not stop. The pedestrian, 51, was struck on the northbound roadway between the Linden Place and 20th Avenue exits just before 5 a.m. Thursday. He was reportedly running across four lanes of northbound traffic when he was struck. The driver of a Jeep Liberty stayed at the scene, but a dark-colored, mid-size sedan with front-end damage fled. The driver is currently being sought.